The B2B industry is more into corporate selling where the customers are company executives, decision-makers and top officials. As a result, the common perception that prevails is that emotional marketing doesn’t work in the field. However, the truth is completely different from the thought. In fact, B2B clients too look forward to emotionally bond with a brand just like the B2C customers. The only difference lies in their approach and the nature of emotions. In the B2C field, emotions marketers aim to trigger through their marketing tricks is that of the love for a family member. They try to make the B2C client feel that they are like family for the brand and vice versa. Where as in the B2B marketing practices, emotions stand for punctuality, credibility, trust, and confidence. No matter whether the customer is a C-level executive or a homemaker, emotions do work in encouraging reaction. Even in the B2B space, the client looks for a reliable brand to invest in and engage in business. Trust is an important B2B emotion that works as the decisive factor. They prefer to work with companies who can provide them relevant products and services at the right time. While marketing to B2B clients, marketers need to put in extra effort as they are well-informed individuals about every aspect of the market. One cannot just sell anything to them. However, inclusion of emotional storytelling while marketing to them can prove beneficial. Although ignored till now, even B2B marketers have understood the impact and power of emotional marketing now. Hence, those who say that emotions have no place in the B2B industry must give it a second thought. How to Tell an Engaging Story? 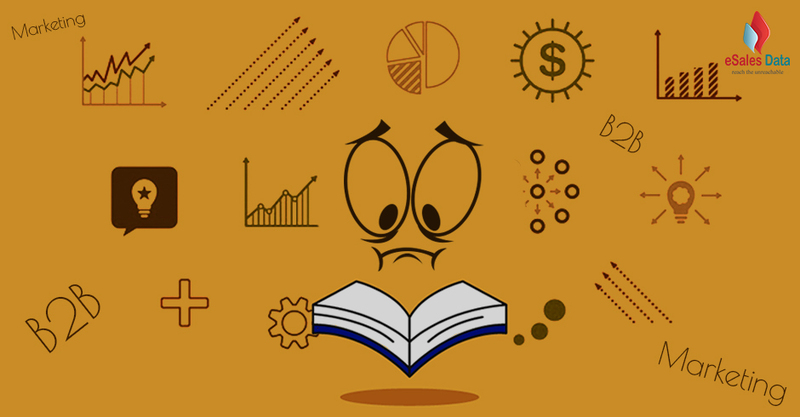 Your marketing story should identify and address the concerns your customers are facing. The story you tell must project how your brand was able to solve similar concerns and issues earlier. Once you raise the conflict in reference to the customer’s present business situation, it’s time to convince them that you are the one who can provide them the ideal solution. Make them believe that how your products can solve their existing conflict. Narrate the story in a way that clearly shows the positive impact your products and services had in resolving business conflicts of your customers. It is not enough to inform customers about the positive changes your brand has brought. Give exact numbers and fill your story with real customer testimonials as proof. Include the words customers gave as feedback and tailor the story accordingly. We know that your targets are company CEOs, directors, managers, and other key decision-makers. But that doesn’t mean your marketing story has to sound professional all the time. In order to establish an emotional connection, you must narrate the story as if you are telling it to your friend and not a client. The flow should be natural then only readers will connect to it. For any business, customers are the real asset. All your marketing efforts are directed towards making them believe in your brand. Hence share valuable inputs on how not only your customers got benefits using your products, even their customers also had an advantage. Be it fiction or your marketing story, including the element of suspense in the narration helps to keep customers hooked till the end. To create suspense, portray how specific problems impacted some other business and how your brand as a hero saved them from a difficult business situation. When you raise the alarm and then address it, a sense of what happens and how it engages the customer with the story. When you successfully represent yourself as the solution provider to help clients on time, customers hearing your story begins to believe in your offerings. While hearing or reading your story, customers should feel like they are part of it. It should give them real-life feel so that they can relate to it. By creating a sense of personal relevance, you get to enter the customer’s mind. Give them a fell that they are part of the story and the things mentioned are happening with them. And in such a negative environment, your brand is the one who can save. We know that how stories help to boost emotions in B2C customers. The same thing happens with B2B clients as well. Emotions like sadness, love, happiness, etc. actively flow in every individual. Hence, hearing stories based on different context, clients can relate to their situation, and thus they begin to feel and express. In the B2B space, expression takes the form of closing a deal or entering into partnerships. Here also storytelling helps generate the emotion that can favor the brand and increase their sales potentiality. When your readers hear your success stories, they begin to imagine using their creative interpretations and imaginations. As a result, different views on the same story is created based on the customer’s own interest and preferences. In this way, slowly emotional connect between the customer and your brand establishes. When the story leaves a strong impact, it helps generate productive results in return. Stories are meant to provide minute details about a product or service or a customer’s success story. Hence, defining each point precisely and in order helps clients to understand better and avoid confusion later. Storytelling can assist in delivering detailed knowledge about your brand and offerings without much effort. Traditional methods of marketing are boring. Same professional tone and words often fail to engage the B2B customer. Presenting the same in the story format with a definite structure, purpose, and orientation can help remove the boredom of outdated marketing practices. Today, people are busy. They get attracted to campaigns that are short, crisp and delivers all the information in a short time. Storytelling helps cater to clients who no longer prefers reading lengthy marketing brochures or product guides. So, what’s your next B2B story? If you don’t have one, start developing one now.